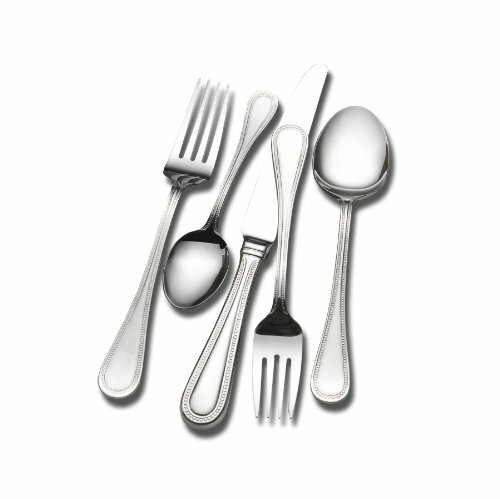 The understated design of the Wallace Continental Bead flatware has the ageless elegance of a strand of pearls. This highly versatile pattern, looking equally poised with a set of simple dinnerware as with fine china. Each piece tapers narrowly at the neck and broadens generously at the rounded end. Crafted from the finest stainless steel with continental sizing, the line combines generous proportions with a pleasant weight. This mirror finish pattern is dishwasher-safe, and never need polishing.